The Yamaha YEB201S Student Tuba offers a reliable sound and solid build. The yellow brass body produces warm, balanced tones with an even projection. The redesigned bell shape and lower bore offer a tighter, more focused bass resonance, so the YEB201S is ideal for ensembles. The construction is designed around comfort, and is suited to student musicians who require the easier playability. This model has been finished in a silver plating which both looks smart and adds slightly more mellow overtones to your overall sound. The Yamaha Student series of tubas are ideal for the developing musician. 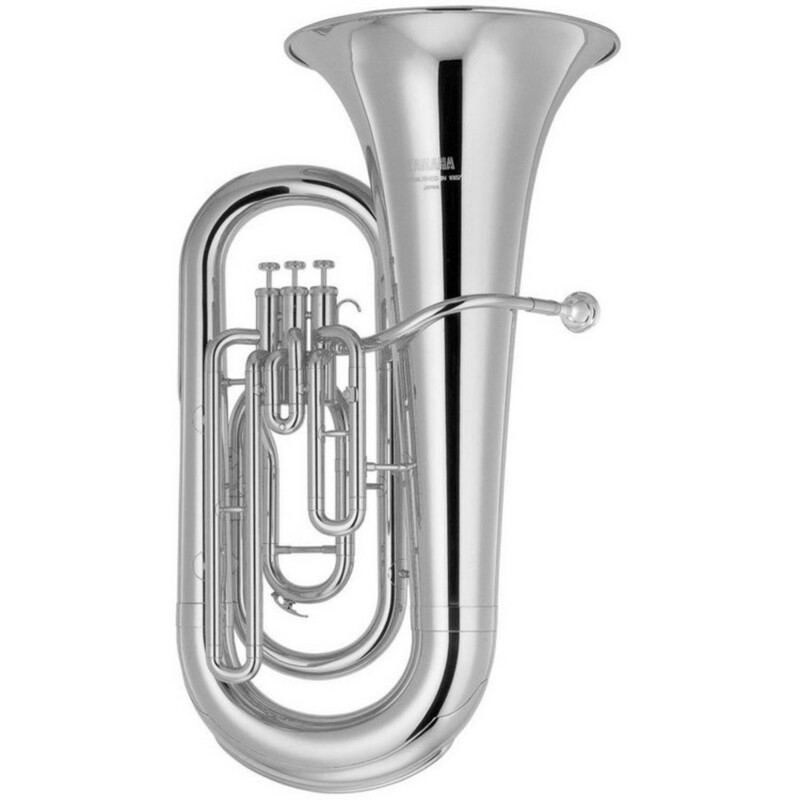 The tubas are designed around producing a clear, warm sound whilst having a comfortable playability. The lightweight, ergonomic shape makes each tuba able to use on stage for extended periods without it feeling too heavy. The 66D4 mouthpiece designed for these tubas has an easy response with a suitable amount of resistance for students. The durable build quality means that the Student series of tubas are ideal for musicians wanting an instrument to develop and enhance their skills with.